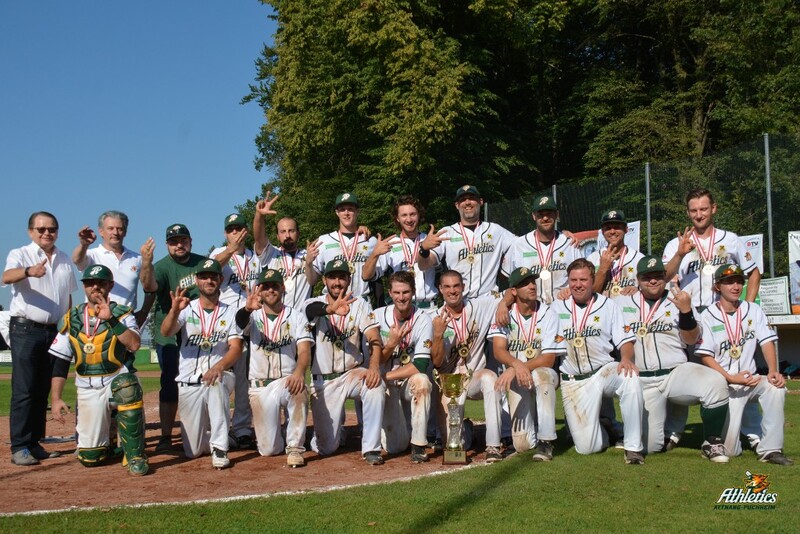 The Athletics Attnang-Puchheim have won the championship in the Austrian Baseball League. On Saturday they beat the Diving Ducks Wiener Neustadt 10-5 in game six and won the best-of-seven series 4-2. It’s the third Austrian title for the Athletics after 2008 and 2010. It’s also the icing on the cake during their 25th anniversary season. In the decisive game six the Athletics took a 5-1 lead through five innings. In the sixth the Diving Ducks closed the gap to 4-5, but Attnang-Puchheim answered with five runs in the bottom half to secure the win. Steven Johnson pitched a complete game and also hit a home run along with three runs scored. David Burns went 4-for-4. Matthias Scheicher got charged with the loss. The Athletics had reached the final after overcoming a 0-3 deficit in the best-of-seven semifinals.